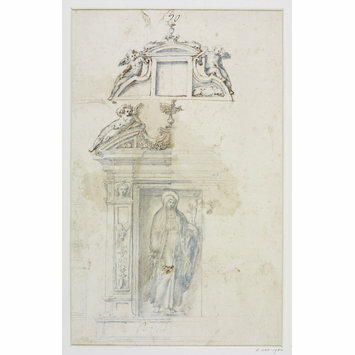 Drawing, design for a pedimented niche, containing a figure of St Catheine of Sienne; above, an alternting deisng for the pediment, Rome, late 16th century. By the same hand as no. 493 below. 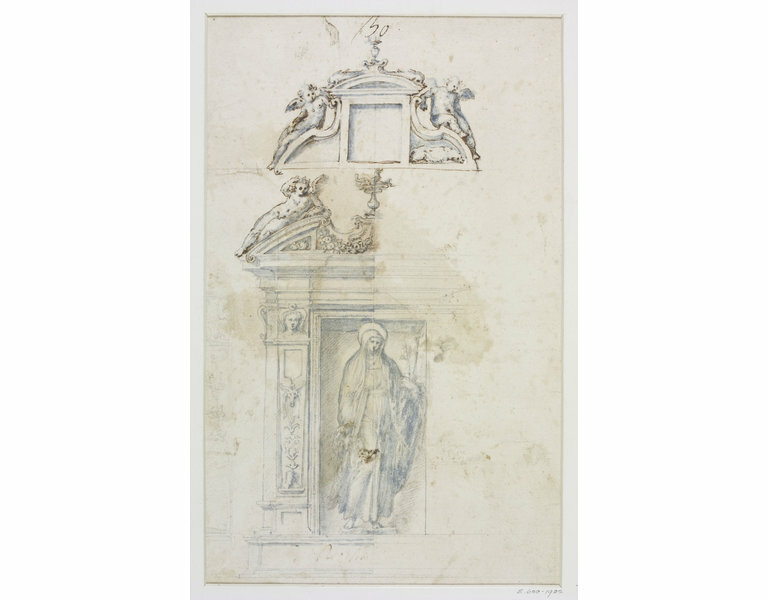 Both drawings are reminiscent of Perino del Vaga in the handling, but the advanced character of the architecture suggests a date well on into the second half of the 16th century. The animal reclining within the pediment in the alternative design appears to be a bear cub, perhaps the emblem of the family for which the design was made. 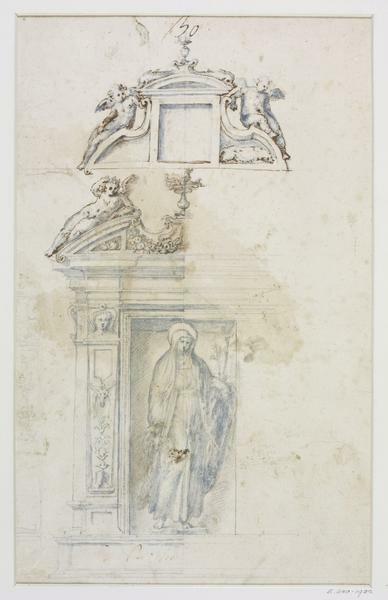 The Orsini sometimes used the bear as a supporter: for examples see G. Falcidia's article on Benefial in Bolletino dei Musei Communali di Roma, II, 1964, nos. 1-4, p. 24, n. 11.